You have put extra effort into making your home cozy and comfortable, but there definitely seems to be something lacking. It still does not yet quite meet your aspirations, and you feel that you must add some extra elements to your surroundings to give them some extra appeal. What may be missing are wooden accessories and decor items that will give your environment that complete and necessary finish. Here are some interesting and impacting items that might be added to the various rooms in your home. 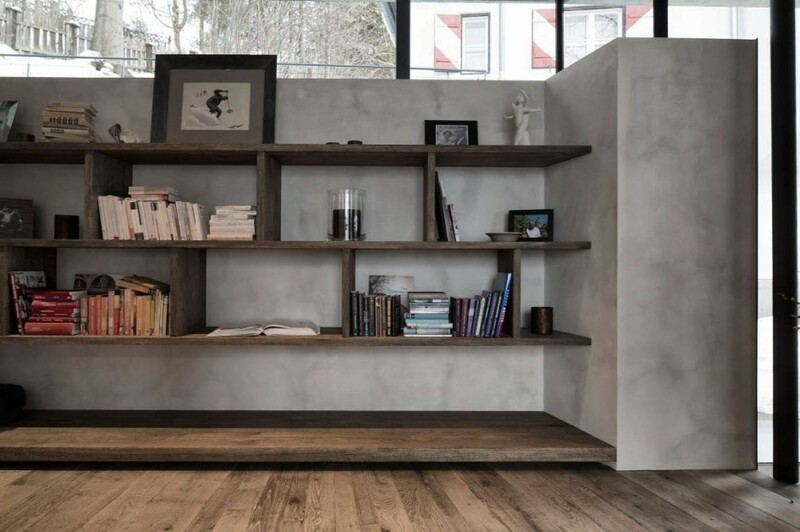 Wooden shelving makes great ledges to display items that portray your own and your family’s unique personalities. They may be laden with books, collector’s items, family photos, or even religious artifacts. In this case, it is not just the wood that adds the interest, it is also what is displayed on them. Bookends that hold your various volumes can be shaped in so many ways that also distinctly portray your interests. For example, if you collect owl figurines, bookends in the shape of these nocturnal animals would reflect just that. Also, tiny cabinets that hold spices or herbs will make your kitchen a haven of rich aromas and invitations of dishes and baked goods yet to be created. However, be sure to mount them properly on a wall as they can be pretty heavy when you put a load onto them. Use only quality screws of notable manufacturers to securely attach cabinets and shelves to your wall. 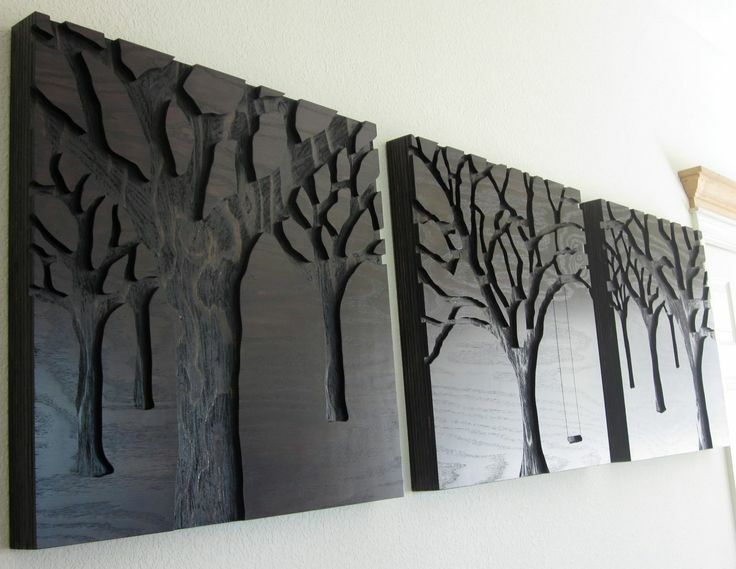 These carvings can be either stand-up figures or wall art. They can be made by American Indians or African tribesmen. It does not matter as long as it reflects your taste and blends well with other decor and furnishings. Whatever the case, they will add a unique appeal to any area of the home, possible matching a variety of wall hangings, cushions, and other small artistic pieces. Table lamps can be created from all types of wood. Bamboo, oak, and cedar are just a few of the choices you can make. The wood can be in the shape of an object, in its natural form, in a geometric shape, or even in the form of an animal. These lamps become so much more than a source of light; they are works of art to be admired by guests and visitors to your home. Simple wall decor such as wooden spoon hangers with rows of antique demitasse spoons or collected state spoons can add much personality to an area. 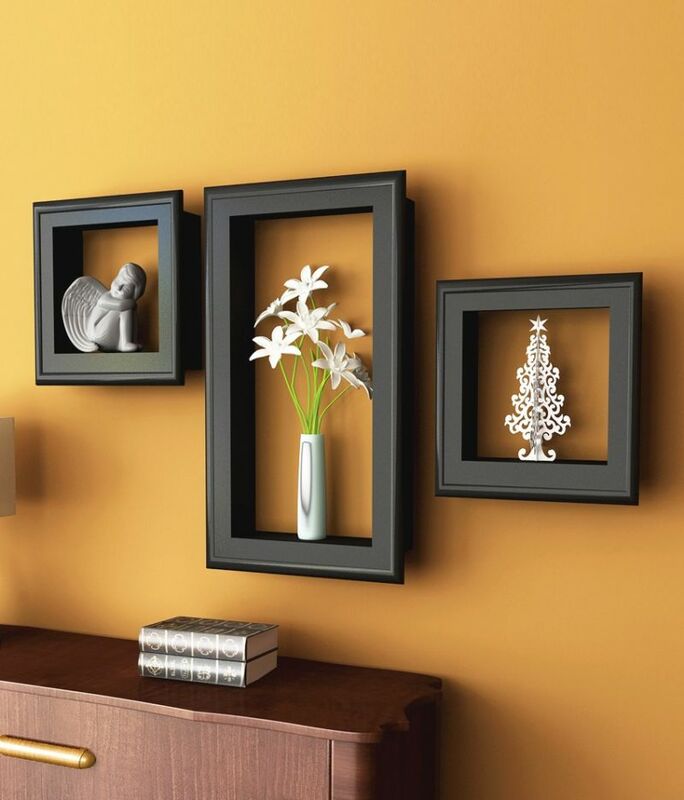 Rich wood picture frames filled with beloved family member photos are reminders of caring and love. Collected local art takes on a new life with the addition of matching wood frames. Vintage wooden signs can be hung in unusual spots such as in a hallway, above a mantel, in a bathroom, in a study or office, and even in a child’s playroom. In the kitchen, a random collection of cutting boards arranged strategically above a counter or on a blank wall will immediately draw one’s eyes to that area. 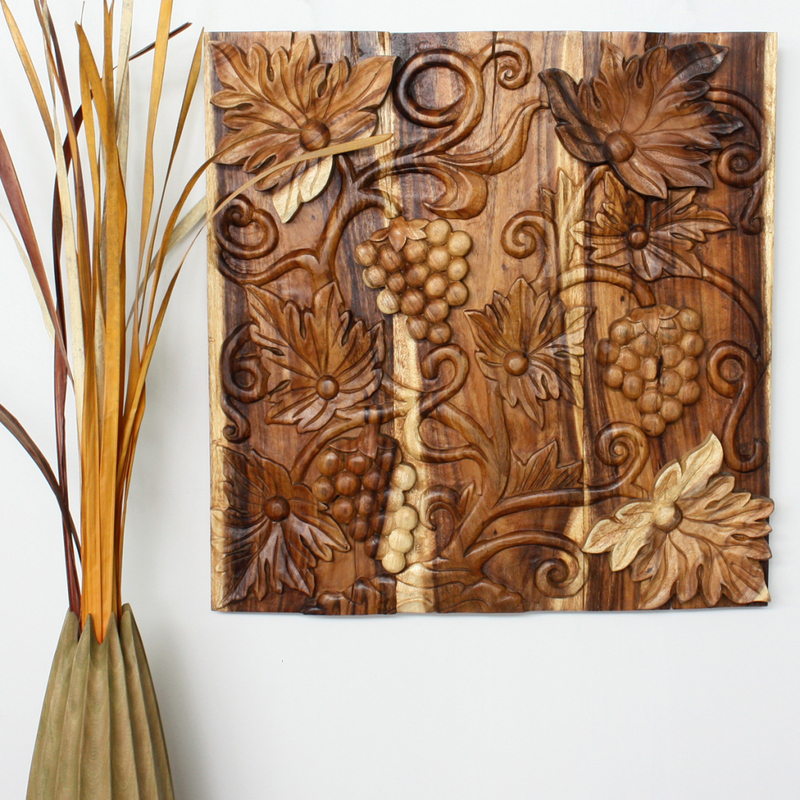 As you can see, adding wooden items to your room decor can add instant charm, texture, and warmth. Choose what best reflects the tastes and interests of all who reside in the home for a true picture of what your family is like. Friends and relatives who visit will instantly have an intuitive feeling for the interests and activities for those who reside within.